Use TB2YA03 to reference this item. 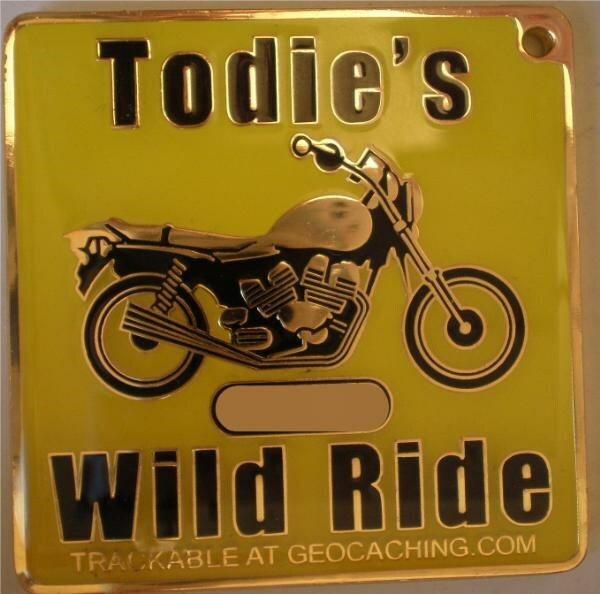 Mission: To travel from cache to cache and raise awareness of motorcycle safety. 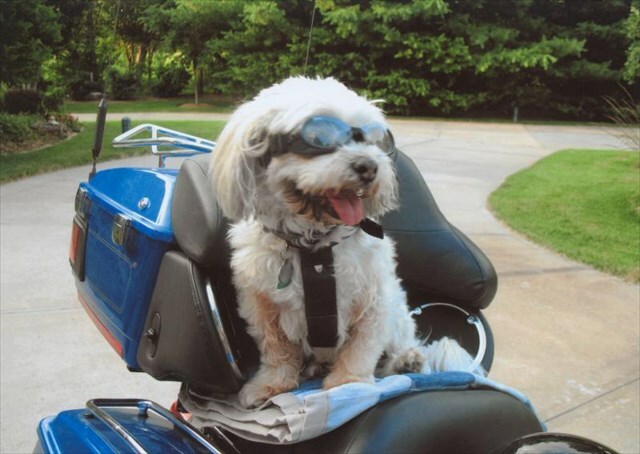 There is nothing Doogie likes more than going down the road on the Harley. Every time before he mounts up he has his goggles and special harness to keep him safe on the ride. He knows the value of personal protective equipment for passengers as well as riders. Follow his example, everyone ride safe! This TB must be lost... not in the cache ist is listen in. Sorry, not seen in the cache. Leider nicht im angegebenen Cache! Could't spot it today In "BiGaDo - Michaeligarten". Obviously it's no longer in. May be someone took it before. It wasn´t here at 5 p.m.
Found it at the zoo in Munich. We will show you another nice place in Munich.